Looking for a traditional 5.1 sat/sub home theatre package with a touch of class? Monitor Audio has launched a second generation MASS Surround sound system, which combines good looking satellite speakers with a heavyweight subwoofer. 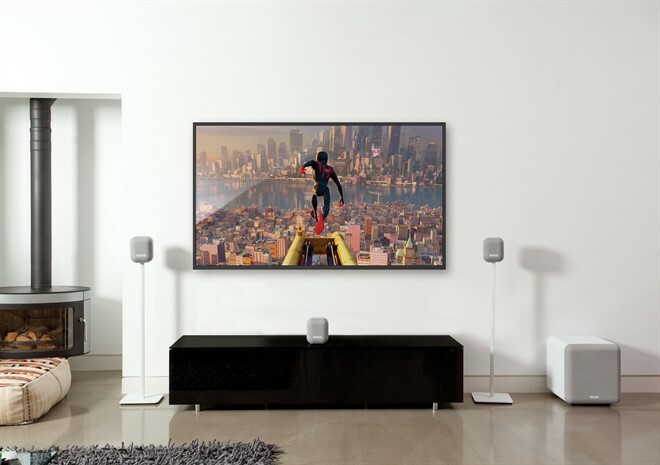 Suitable for both movies and gaming, the satellite speakers have a stylish acoustically transparent fabric finish, and can be supported on dedicated optional stands. Choose from either Midnight black-blue or Mist white-grey finishes. The MASS satellites use a two-way, sealed cabinet and feature a 89mm Mid-Bass driver with MMP II (Metal Matrix Polymer) cone technology, and a 19mm tweeter. The cabinet is glass fibre reinforced ABS and MDF. The accompanying subwoofer utilises a 203mm long throw driver, coupled to a 120 W Class-D amplifier. The system offers three preset modes (Music, Movie and Impact) for plug and play simplicity. Australian pricing and availability to be confirmed.